A manufacturer of processed foods refines dairy products. The dust-laden exhaust air produced during the manufacturing process is extracted and cleaned by industrial filter systems. With increasing wear of the filter elements, the dust content in the exhaust air can rise and lead to an increased environmental pollution. A continuous dust measurement (mg/m3) is even officially prescribed for this process. This requirement is met by the plant operator with the installation of a calibrated electrodynamic measuring device. 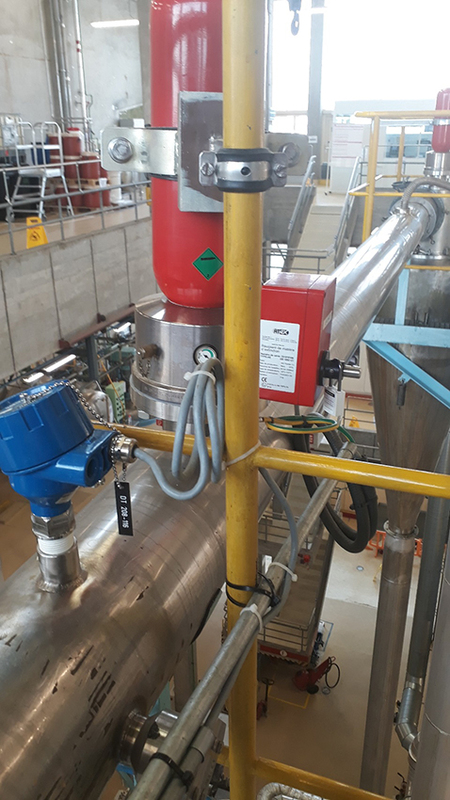 The ProSens system can be calibrated and continuously monitors clean gas sides after filter elements for permissible dust concentrations. 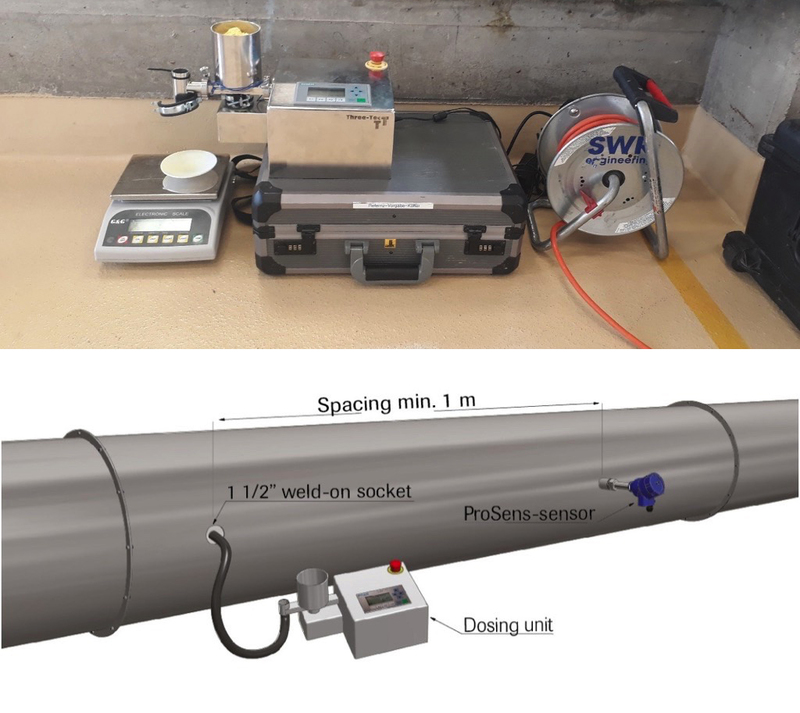 Thanks to the Dosed-Reference-Method developed by ENVEA – SWR engineering, the ProSens can be calibrated quickly and reliably in the customer’s plant. For this purpose, only a representative sample of the customers filter dust, the specification of the desired limit value with regard to the dust concentration and some process data such as volume flow are required in advance. With this information, a special dosing device can be set up in advance, so that the technician can then specify the desired dust concentration for the sensor to be calibrated as a reference at the customer’s site.